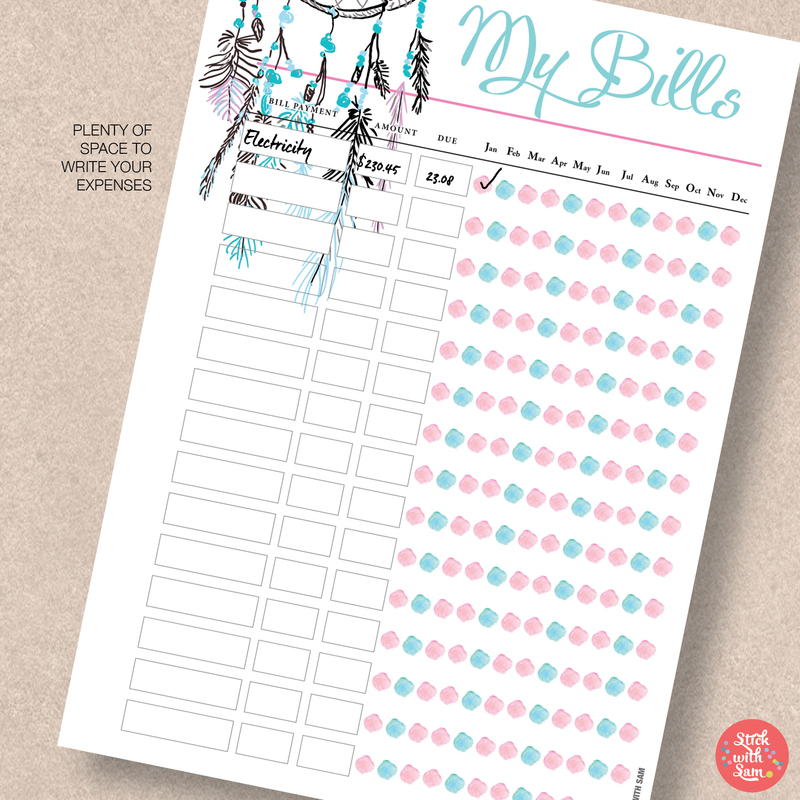 Great for organising your bills, money and budget. 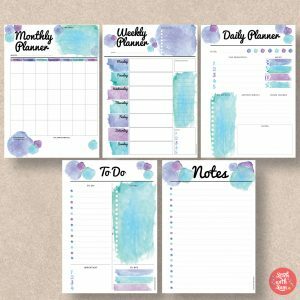 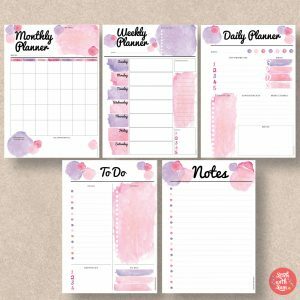 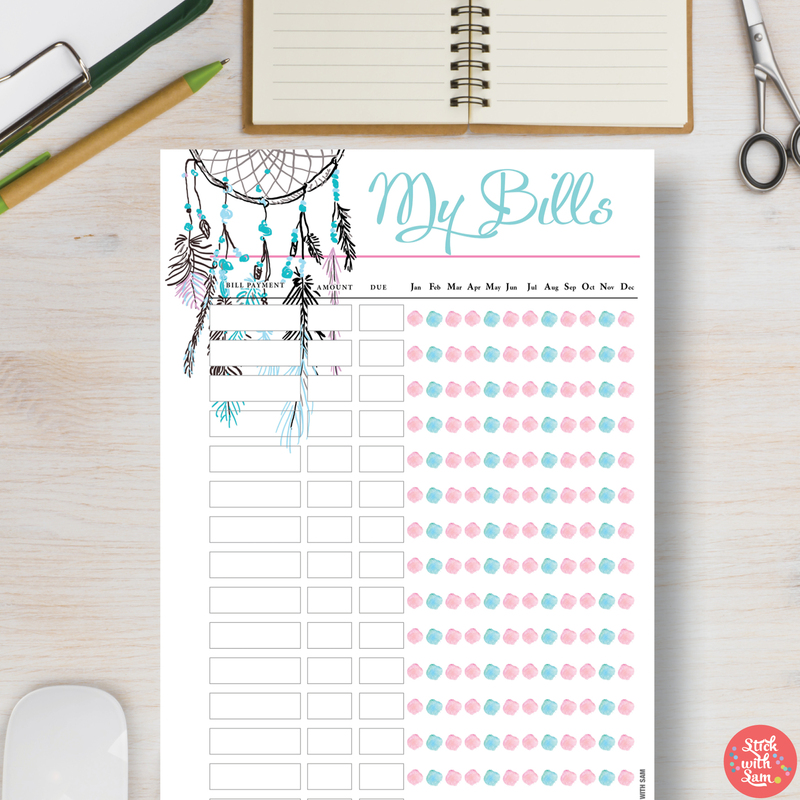 Enjoy planning with this Dreamcatcher My Bills Printable Planner! 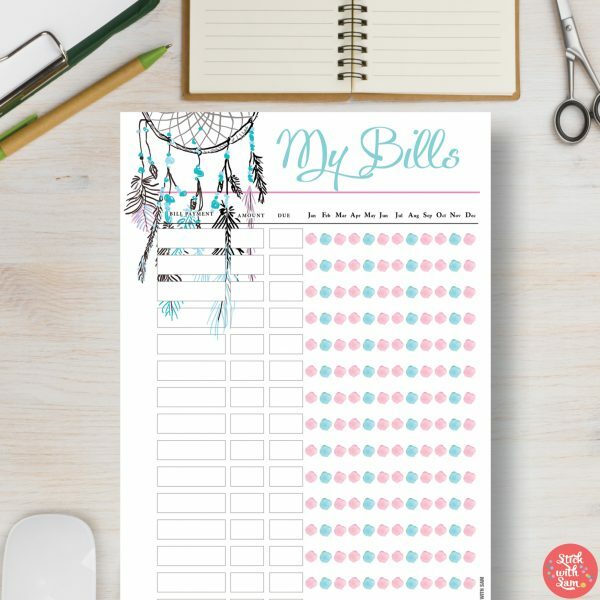 Your choice of A4 & A5 or Letter & Half-Letter. 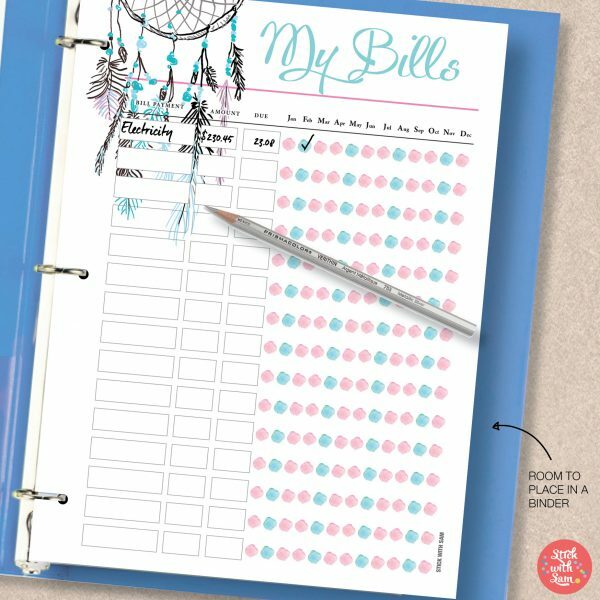 Dreamcatcher My Bills Planner for gorgeous planning! 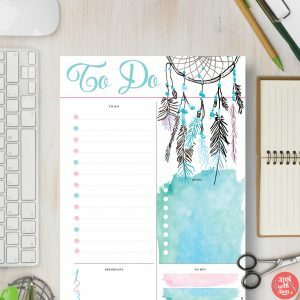 We have various planners and planner packs in different colours and themes, including Blue, Pink, Dreamcatcher, Pineapple, Watermelon – and more! 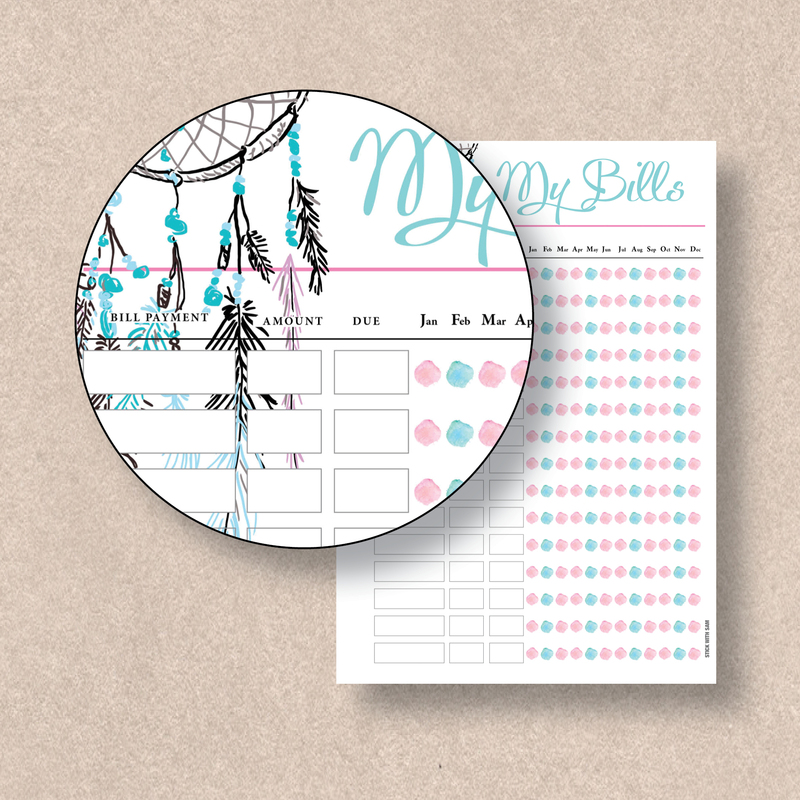 Where ever you are located in the world we have a printable planner size just for you!